I have not been through the wild garden in Shipton-under-Wychwood for a while – but there are a lot more ducks on the pools there now – here are some of the interlopers – the regular ducks are mallards. This was taken mid-morning yesterday, with a long lens but with the angle and the shade behind, makes the ducks stand out nicely – there were lots of bits (leaves etc after the wind and rain) floating on the surface – removed much of that with the spot removal tool in Lightroom. 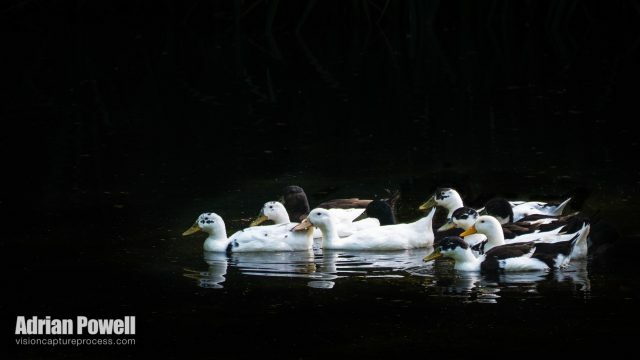 I also darkened the background and lowered the highlights to make the ducks stand out and remove distractions.